#IWSG February 2018: Time to get on with things. Hello Everyone, and Happy February! 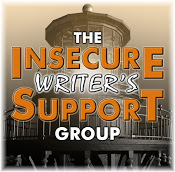 This month I am extremely chuffed to be co-hosting the IWSG blog-hop, (which occurs on the first Wednesday of the month), alongside these awesome people; Stephen Tremp, Pat Garcia, Victoria Marie Lees, and Madeline Mora-Summonte! Do stop by their blogs to say hello, and don’t forget our founder, Alex Cavanaugh. February (I’ve decided), is the month when we actually settle down and get on with things. January was full of the panic and pain of resolutions, but now we can take a breath and put some more realistic plans in place. Me? I’ve concluded that yes, 2018 has to be all about re-writing my novel, but I also want to give some space to the little voice that keeps whispering to me about short stories. And that leads me very neatly to this month’s question: What do you love about the genre you write in most often? I’ve come to the conclusion that my preferred genre is Speculative Fiction. It’s a lovely umbrella term that covers fantasy, sci-fi, the paranormal and probably all sorts of others too. I love the scope that gives me; I can spread out and try different things rather than wedging myself into a genre box. With spec fic I can create my own rules, history and societies. Heck, I could create my own gender if I wanted (although I haven’t gone that far). I can concentrate on seemingly unimportant characters or on huge events, the only limit is my own creativity. (Although it helps if it makes sense to the reader too). I’m still trying to put together a good time management structure though. My mind, it seems, is a very untidy place. Thank you for stopping by, and don’t forget to visit our other awesome hosts! I’m looking forward to visiting all your blogs to discover what you love about your preferred genre. Oh, and before I go, can I give a quick plug for the Exeter Writers Short Story Competition? First prize is £500! Closing date is 28th February. This entry was posted in IWSG, Writing and tagged IWSG. Bookmark the permalink. 102 Responses to #IWSG February 2018: Time to get on with things. I love spec fiction. And it’s great that you have some different outlets for your work. Organization is a challenge for me, too. I tend to jump from project to project, but I’m trying to focus more. Also thanks for hosting #IWSG and for visiting my blog. I also write in several sub-genres of speculative fiction. Whatever my characters require, they get, be it magic or a warp drive. Speculative fiction is such a wide-open genre. It includes almost everything, except boring. I love how you phrased that, “A day trip into someone else’s world.” It sounds like such a blast to do that. I love to run and play with new characters. It’s a ton of fun! I am just starting to like writing short fiction. You are right, it is freeing in a way, and trying to say more with less is also a challenge that helps make my novels better, I think. Thanks for co-hosting and also for the link to the contest! Wow, that’s so cool you write short fiction for women’s magazines. Which ones? I totally understand the appeal of spec fiction and the freedom it gives you. I feel the same way about horror.